A wonderful, moving tale full of wit, intricate descriptions and colourful characters. 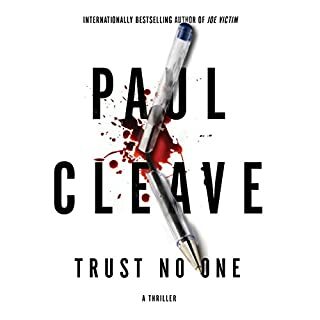 Superbly voiced by Sam Dastor, this has been one of my favourite audible books so far. Loved it! 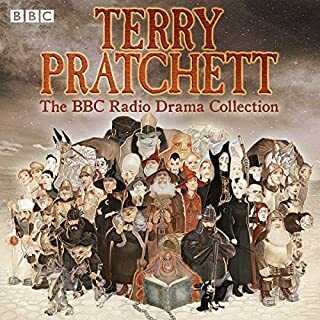 As a fan of the Discworld novelsi by Terry Pratchett I found that these BBC versions really brought the characters to life. I was less impressed by the performances in the last book “only you can save mankind” but that is more of a personal choice of reading matter. 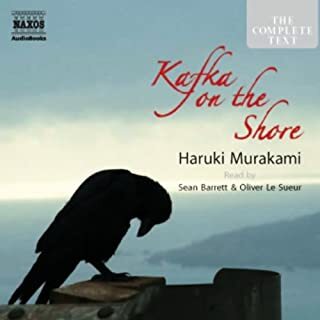 Kafka on the Shore follows the fortunes of two remarkable characters. Kafka Tamura runs away from home at 15, under the shadow of his father's dark prophesy. The aging Nakata, tracker of lost cats, who never recovered from a bizarre childhood affliction, finds his pleasantly simplified life suddenly turned upside down. After mulling my options and ignoring online advice as to which Murakami story I should pick up first, I dived right into Kafka on the Shore. Brilliant, complex, funny and sad all at once, expertly written (and I suppose very well translated). Surreal and bizarre at times, you can’t help relate to the characters in this fable. And the audio actors did a fantastic job of recreating the scenes throughout. Bravo! Jerry Grey is known to most of the world by his crime-writing pseudonym, Henry Cutter - a name that has been keeping readers at the edges of their seats for more than a decade. Recently diagnosed with early onset Alzheimer's at the age of 49, Jerry's crime-writing days are coming to an end. His 12 books tell stories of brutal murders committed by bad men, of a world out of balance, of victims finding the darkest forms of justice. A very clever take on Crime, Alzheimer’s disease and humanity in general. An absolute gem masterfully narrated. Fantastic! Certainly a book that gives us food for thought and covers a wide range of topics in an incisive and sometimes humorous way. 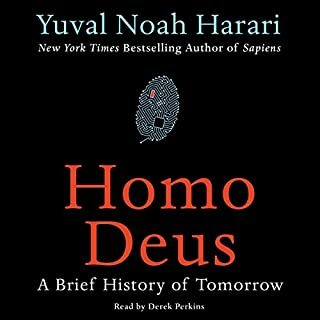 Coupled with the expert narration skills of Derek Perkins, this latest book by Yuval Harari is delivered effectively and is not a chore to get through (despite the complexity underlying some of the concepts). 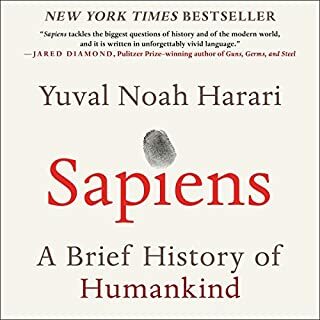 Compared to my review of Sapiens I have dropped a star because I felt some bits repeated themselves and I think it still needed a chapter at the end that imagines a world with a few different scenarios: computers / data coexisting with humans rather than been surpassed, or some other type of combination. As it stands, I felt the conclusion was rather abrupt. Looking forward to yet more soon! Teddy Telemachus is a charming con man with a gift for sleight of hand and some shady underground associates. In need of cash, he tricks his way into a classified government study about telekinesis and its possible role in intelligence gathering. 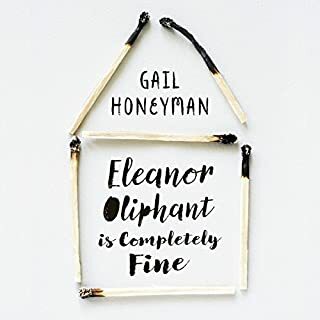 There he meets Maureen McKinnon, and it's not just her piercing blue eyes that leave Teddy forever charmed but her mind - Maureen is a genuine psychic of immense and mysterious power. 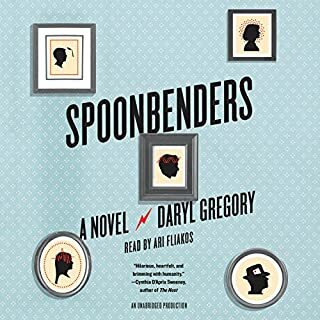 An extremely entertaining story from the master storyteller Daryl Gregory that is made even better by the excellent voice acting of Ari Fliakos. Really enjoyed this one. The plot, the characters, the twists and turns. Recommended! Loved the narration and loved the wry sense of humour employed throughout. Didn’t think this was my kind of novel but I was very pleasantly surprised. Recommended! 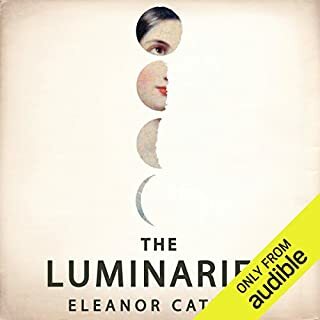 I had been hoping to read this for quite some time and finding the Audible version was superb. It is a gripping story, masterfully narrated by Mark Meadows. Thrilling to the very end. I hope they will one day make a film of this fantastic tale set in Aotearoa. A truly epic journey combining history, political, scientific and philosophical insights. Thought-provoking and sobering. 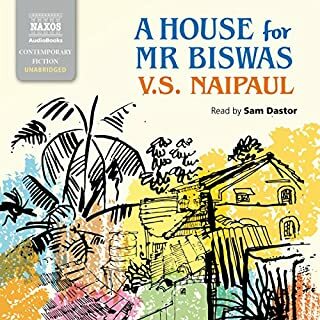 Narrated with panache and style, I fully enjoyed this audiobook. 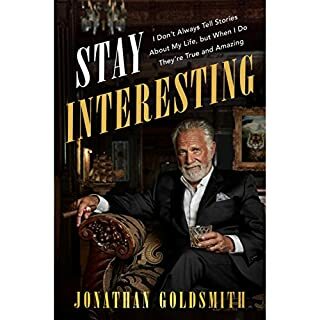 Jonathan Goldsmith has many answers to that question. For years he was a struggling actor in New York and Los Angeles, with experiences that included competing for roles with Dustin Hoffman, getting shot by John Wayne, drinking with Tennessee Williams, and sailing the high seas with Fernando Lamas, never mind romancing many lovely ladies along the way. However, it wasn't all fun and games for Jonathan. Frustrated with his career, he left Hollywood for other adventures in business and life. Funny, heart-wrenching at times. Simply great! Funny, heart-wrenching at times but very, very interesting. Read to us with a rare honesty and sincerity. Jonathan is a true star - humble, classy and inspiring despite years of antics we would only dream of doing. Loved it!